The answer is complicated. Prescription drug discount cards can indeed cut the cost of prescriptions, but in most cases, the savings are nowhere near 75%. And even these modest savings are only available on certain drugs at certain pharmacies. Still, when you’re on a tight budget, even a small discount is better than none. If you’re one of the millions of Americans who can’t afford medications they need, saving just 10% could mean the difference between taking your pills as directed and having to skip them. Let’s take a closer look to find out just how these discount cards work, and whether they could offer real savings for you. Prescription drug costs in the United States are exceptionally high. According to a 2016 report in the Journal of the American Medical Association, Americans spend an average of $858 per year on prescriptions. That’s more than twice as much as the average across 19 other industrialized nations. The main reason drug prices are so high here is that there are no real limits on what companies can charge. When a company invents a drug, it gains an exclusive right to make and sell it that lasts for many years. During that time, it can charge as much for its drug as patients are willing to pay. And individual patients can’t really bargain for lower prices. That’s where the drug discount programs come in. They skip over the companies that make the drugs and instead negotiate with the stores that sell them. These programs offer to drum up more business for the stores if they agree to sell medications at a lower price. If it’s done right, this can be a good deal for the stores, the patients who buy the drugs, and the company that runs the program. First, the PBM sets up a network of pharmacies that agree to accept its cards. This network can include both national chains and small, local drugstores. This means if you have a drug discount card, you can only use it at the stores in its network. The PBM negotiates separately with each store in the network to get discounts for cardholders on the drugs it dispenses. Usually, the discount is a percentage of the retail price of the medication. However, the amount of the discount can vary from drug to drug. The store also agrees to pay the PBM a small transaction fee each time a customer uses the card. Next, the PBM seeks out marketers to help distribute its cards to the public. These can be either companies or nonprofit organizations. Drug discount cards get handed out through doctors’ offices, local governments, and paid marketers. Sometimes, drugstores even distribute the discount cards themselves. These marketers receive a fee from the PBM for promoting the card. When patients use the cards, they pay the discounted price the PBM negotiated with the store, plus some fees. These include the fees paid to marketers and a fee for the PBM to cover its costs. However, the final price is still lower than the full retail price without the card. It seems odd that pharmacies would ever agree to accept a drug discount card. After all, when a patient uses one of these cards, the store gets paid less for the prescription – and it has to pay a fee to the PBM on top of that. However, taking these cards can still be a good deal for a store. It makes less profit on each sale with the card, but it makes more sales in total. For example, suppose you get a prescription for a $100 drug. The pharmacy pays $60 for this drug, so normally it would make a $40 profit. But you can’t afford to pay $100, so you don’t fill the prescription, and the store gets nothing. Now suppose the pharmacy accepts a discount card that lowers the price of that drug to $80. You buy it for that price, and the store makes a $20 profit. That’s less than $40, but it’s a lot better than nothing, which is what it would get otherwise. Offering a discount card also helps the drugstore build brand loyalty. If you know that this particular store takes your discount card, you’re more likely to go there for all your prescriptions – even the ones that aren’t cheaper with the card. And while you’re there, there’s a good chance you’ll fill up a cart with other things the store sells, like greeting cards or drugs sold over the counter. It’s better for the pharmacy to take the discount card and accept a smaller profit than risk losing your business to some other store. In 2012, Consumer World did a study to see how much it’s possible for an uninsured person to save on a prescription with a drug discount card. It checked the prices of four common drugs at three different drugstores – CVS, Costco, and an independent pharmacy – using five different cards. The study found that on average, using these cards would save a consumer around 16%. However, that doesn’t mean that using one of these cards will save you 16% on every drug, at every store. The actual amount varies widely depending on where you shop and which drugs you buy. Consumer World found that in some cases, using a discount card cut the price of a drug by as much as 71%. However, in other cases, there were no savings at all. One reason for the difference is that the cash price for many drugs differs from store to store. For instance, one of the drugs in the study was simvastatin, a generic version of the cholesterol-lowering drug Zocor. At CVS, the cash price for this drug was $40, and the discount cards could reduce it to anywhere from $19 to $39. 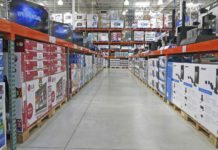 But at Costco, the cash price was only $6.50, and most of the discount cards couldn’t knock it down any lower than that. If you already have health insurance, a drug discount card probably won’t save you all that much. That’s because these cards only give you a discount on the full price of the medication, not the amount you pay out of pocket with health insurance. For example, suppose you have a prescription that costs $100 and your co-pay is $20. That means your health plan is already picking up the tab for the other $80. In effect, your insurance is giving you a discount of 80%. Most drug discount cards, by contrast, can only give you a discount of 10% to 30%. It would be nice if you could use that 20% discount to reduce your $20 co-pay to $16, but it doesn’t work that way. However, for some cheaper medications, you could pay less with a drug discount card than you do with insurance. For instance, suppose the drug you want to buy is priced at $20. With your insurance, your $20 co-pay means you’ll end up paying the full price of the drug. In this case, a drug discount card that knocks the full price down to $16 would be a better deal. Even if you don’t have health insurance, using a drug discount card isn’t the only way to save on your prescriptions. 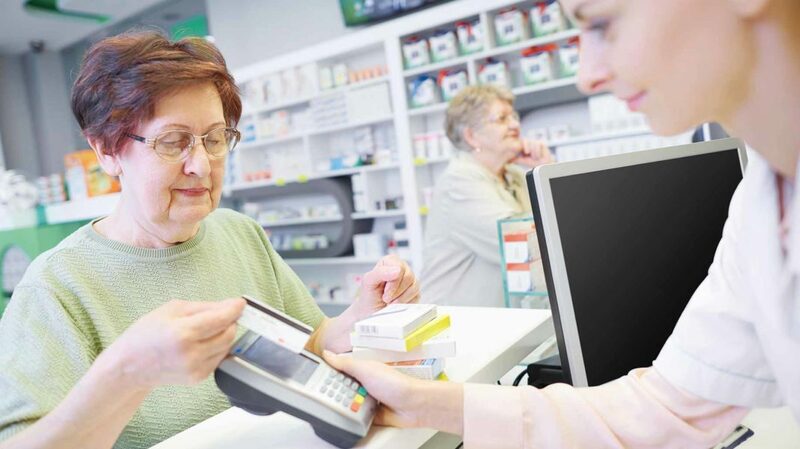 Nearly all chain drugstores offer a generic drug discount program, which lets you buy the generic version of common drugs for a low, flat price. Generic drugs have the same active ingredients as brand-name versions and are just as effective. According to the Food and Drug Administration, nearly 8 out of 10 prescriptions filled in this country are for generic drugs, so a program like this can save you money on most of your prescription meds. 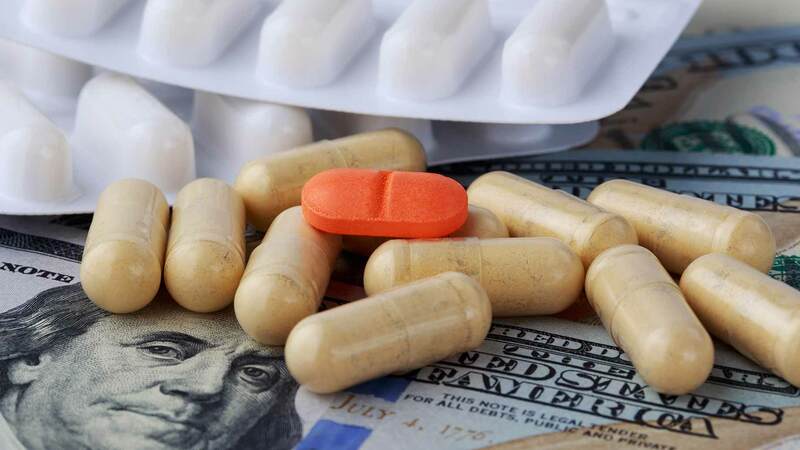 Generic drug discount programs are often referred to as “$4 generic drug programs.” However, according to Consumer Reports, the actual price of drugs with these programs ranges from $4 for a 30-day supply to $16 for a 90-day supply. Still, even the highest price under these programs is less than you’d pay with most drug discount cards. In some cases, it can even be less than what you’d pay with health insurance. Each chain has different requirements for its generic discount program. At some stores, you have to enroll as a member and possibly pay an annual fee, which can range from $10 for one person to $35 for a household. At others, anyone with a prescription can walk in and use the program. Enrollment can take a while, so it’s best to find out ahead of time if it’s required. Even if your local drugstore is a mom-and-pop shop rather than a chain store, it’s worth asking whether it can give you this kind of discount on generic drugs. Some local pharmacies will match the discount prices of the chains if asked. A few even offer discount generic drug programs of their own. The biggest problem with drug discount cards is that it’s very hard to figure out ahead of time just how much you’ll save. Edgar Dworsky, who tested these cards for Consumer World, says it was “nearly impossible” to figure out which card provided the best savings. When Dworsky tried taking his test cards to specific drugstore locations, most of the pharmacists told him they couldn’t give him a price check without an actual prescription. That’s because the only way they could find a price was to enter it as if the customer was actually placing an order. Calling up the corporate headquarters of the drugstore chains didn’t work much better. The only one that was willing to give Dworsky a price for all the drugs in his test was Costco. Dworsky told The New York Times that he was eventually able to complete his test by going to a doctor and getting real prescriptions. However, he notes that the prices he got this way aren’t necessarily the same ones that other patients would get for the same drugs. Drug prices can vary from store to store, and they can also change over time. That means two people using the same card to get the same drug at the same pharmacy might still end up paying different prices. Secret shoppers at Consumer Reports did a little better trying to check prices with discount cards. Drugstores wouldn’t give them prices over the phone, and going to the store didn’t always work either. One pharmacy refused to quote a price without a prescription, and three others could only provide prices for one of the five cards in the test. Eventually, the shoppers found most of the prices they needed by checking the website and customer service numbers for the cards themselves. However, they were warned that those prices were only estimates, which could change when they got to the store. Because of these problems, Consumer Reports says it’s “not crazy about” drug discount cards as a way to save money. Naturally, the best drug discount card for you is the one that will save you the most on the drugs you take. However, as the studies above show, it’s difficult to check drug costs without having the card – and ideally, a valid prescription – in hand. This creates a Catch-22 for consumers: You can’t choose the best card without checking prices, and you can’t check prices without the card. Your best bet, according to Dworsky, is to get several different cards and then use their websites to check drug prices. As Consumer Reports found, these sites can usually give you only general cost information and not a guaranteed price for any drug. But they can still help you figure out which card is most likely to be a good deal for you. In another interview with the Detroit Free Press, Dworsky suggests going to actual stores to check prices. He recommends going at a time when the store isn’t busy. Pharmacists are more likely to help you when they aren’t keeping a line of other customers waiting. He recommends going to several stores to see which one can give you the best price. In order to put different discount cards to the test, you need to get your hands on the actual cards. One good place to look is your doctor’s office. Doctors often offer these cards to their patients to help them pay for medicine. You can also find discount cards online. A quick search for “prescription drug discount cards” will turn up dozens of offers. At some sites, you must fill out a quick registration before getting your card. At others, you can print out the card or download it in app-form instantly. To decide which cards to apply for, think about where you shop most often for medication. The Consumer World study found that the Simple Savings card gives the biggest average discount at CVS stores. The AARP card gives the best discounts at Costco, and the Una Rx card works best at independent pharmacies. An update to the article notes that a card from NeedyMeds tends to offer better prices than most others. Never Pay for a Card. Most drug discount cards are free, but some charge an annual fee. Experts say the discounts are about the same with both types, so there’s no point in paying for a card. A few cards, such as those offered by AAA and AARP, are free only for members. There’s no reason not to try them if you’re a member already, but it’s not worth joining just to get the card. Check the Company’s Rating. Before using a card, check out the company’s ratings with your local Better Business Bureau (BBB), which rates companies on a scale of A-plus to F, based on factors like lawsuits and complaints from users. Companies that get good grades are more likely to be trustworthy. Those with low grades could be scams, or at least not very good deals. Try the Help Line. Any reputable drug discount program should have a toll-free help line. Give that number a call and see how helpful it really is. Are there real people on the other end, or just a recording? If you leave a message, do you get a call back? A company with a good helpline will be a lot easier to work with if you run into any problems with your card. Know the Rules. Make sure you know which stores accept your card. You don’t want to show up at the store to pick up your prescription and only then find out that you have to pay full price. That could be really embarrassing – especially if you don’t have the money on you. Try Insurance First. A drug discount card isn’t the same thing as insurance – and in most cases, it doesn’t save you as much. If you have insurance, try to pay with that first. 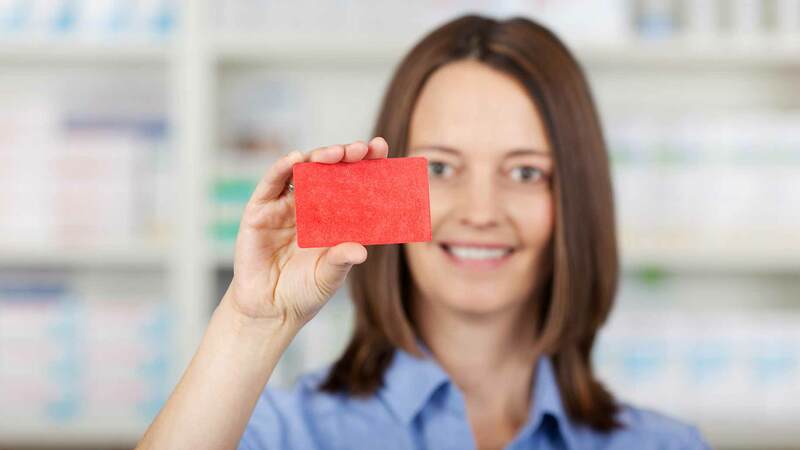 If your health plan doesn’t cover a drug, or it doesn’t save you any money off the cash price, that’s when it’s time to whip out your discount card. Compare Cash Prices. All discount cards work the same way: they knock a percentage off the cash price of a drug. Thus, the lower the cash price is, the lower your final price will be. Call around to different stores and find out their full price for the drug you need. In some cases, you might pay less at one store without a discount card than at a different store with the card. Choose Generics. Another way to get a lower cash price is to choose generic drugs whenever you can. These are always cheaper than name brands, often by a big margin. Stick to One Pharmacy. It’s tempting to go to lots of different drugstores to get the best possible price on each drug you buy. However, this can be risky. When you get all your drugs from the same store, the pharmacist knows exactly what you’re taking. That means he or she can spot possible combinations of drugs that aren’t safe to use together. It’s best to choose one pharmacy that gives you a good price on most of your meds and stick to it. Drug discount cards can certainly be useful. However, they’re not the only way – or even the best way – to save money on meds. For most people, the biggest savings come from buying generic drugs. If your drugstore has a generic drug program, you can save even more this way. You can also save money by using a mail-order pharmacy or a prescription assistance program. Go ahead and try these cards, but don’t rely on them too much. Think of them as just one tool in your health savings toolbox, and remember to use the others too. Have you tried a prescription drug discount card? How well did it work for you?